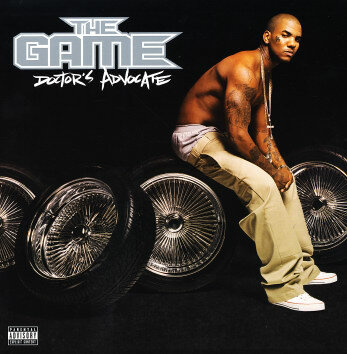 The Game's second major LP's worth of west coast street revivalism – and a set that's ultimately nearly as strong as his debut. Tracks include "Lookin At You", "Da S***", "It's OK (One Blood)", "Compton", "Remedy", "Let's Ride", "Too Much", "Wouldn't Get Far", "One Night", "Doctor's Advocate", "California Vacation", "Bang", "Around The World" and "Why You Hate The Game". © 1996-2019, Dusty Groove, Inc.